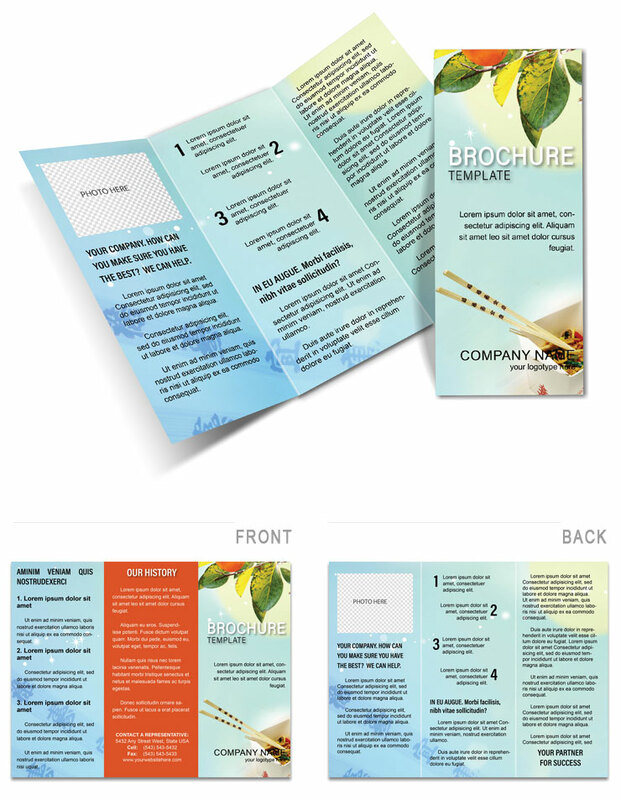 Asian Food Brochure Template which is characterized by use of hot spices. Asian cuisine gives special way of cooking. In addition, each recipe has its own traditions and history, and it gives dishes more delicious taste. Download Brochure Asian Food Template now.